Tim is a part of the Member Development team of PIONEERS. He works with missionary families focusing on training and encouraging parents to care well for Third Culture Kids (TCKs) and to equip them to thrive despite the challenges they face growing up cross-culturally. 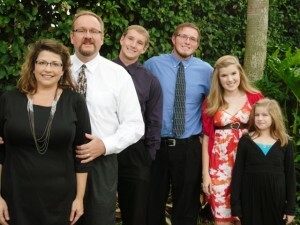 Tim’s title, as of January 3, 2012 is the Director of EMBRACE. Our mission statement is being revised but for now it is “to embrace every TCK, wherever they are, equipping them and their families to foster healthy relationships with God, self and others throughout their whole life.” The idea of EMBRACE is that we want them to be embraced by PIONEERS, we want them to embrace God in the middle of their challenges and throughout their whole life, we want them to embrace each other as Third Culture Kids, and we want them to embrace their TCK experience as a part of God’s plan for them.